After a Tesla owner complained Tuesday in the Motley Fool about a long wait time for parts, Tesla fired back — at its collision repairers. Actually, it didn’t just fire back, it went nuclear. “We are applying brute force to this immediately,” global sales and service President Jon McNeil announced Friday on the Tesla Motors Club forum. 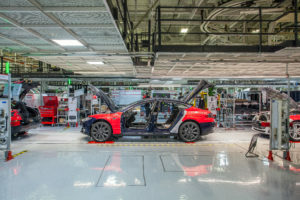 He said Tesla staff would “personally manage each car on behalf of our customers that are in 3rd party body shops,” add 300 shops “over the next few weeks” and dump “poor performing shops” from the network. The Motley Fool post by Evan Niu, who says he invested in Tesla back in 2011, briefly worked for Tesla in 2016 and was a Tesla fan prior to the experience, described “nearly eight months” of waiting for repairs on a rear-ended Tesla Model S.
After three months had passed and the body shop had still not received all the necessary parts, we began reaching out to Tesla directly through their customer service channels, which serve as a liaison to the internal parts department. Initially, no customer service representative that we interacted with was willing to take ownership of our issue. We kept getting passed between representatives with little to no useful information (a customer service manager eventually took ownership of handling our issue after repeated escalations). Parts had started to trickle in, but there still weren’t enough to start the repair, so our car continued to sit idly. … During one of the escalations in November (four months after the accident), Tesla guaranteed us that all parts would arrive at the body shop no later than the last week of November. They didn’t. However, McNeil put the blame for the delay on Stuttgart Auto Body, which only repairs Tesla, Mercedes and BMW vehicles. Stop blaming the body shops. My car’s timeline of posts show it was torn down and parts ordered in less than 2 weeks after the accident. Even a supplemental order was placed by wk4. I even ordered (rear-facing seats) in February, and that parts kit shipped almost immediately. Fact is the stamping and supplier lines are focused on production, not legacy or warranty parts. It’s a gap in the business model and will take time to fix. I understand that. And thankfully, for the eager and persistent, once you find the way to make the squeaky noise (media attn; getting insider direct phone numbers; going to Deer Creek lobby; making a scene at the factory service dept,…i digress) will tend to unstick parts. Most of the customer complaints about body shops mentioned parts, so we focused on this issue. To date, we’ve reduced backlog by over 80%. Even though we reduced part wait times, we continued to dig into the body shop complaints. 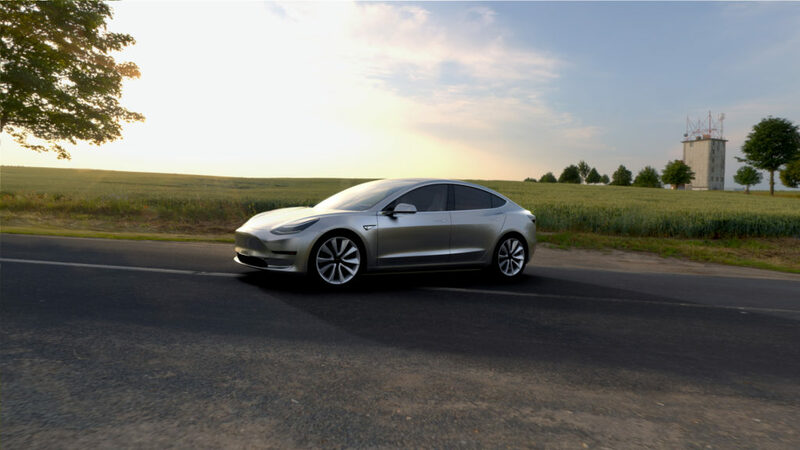 What we found was astounding – cars sat at body shops for weeks and sometimes months before the body shops took action and, more often than not, the body shops blaming Tesla for parts delays were the very shops that hadn’t even ordered parts or started the repair. The he-said-she-said of Niu’s Model S and the other incidents raised by Tesla owners is secondary right now to the broader, industrywide takeaways coming out of all of this. For those on Tesla’s collision repair network, know that the OEM has been publicly embarrassed and has pledged to pay close, personal attention to this issue, so be ready for added scrutiny from Tesla liaisons. “If you have an issue with a shop, please PM me directly and our team will advocate and manage your repair,” McNeil wrote. Know too that the company apparently isn’t afraid to blame auto body shops publicly — or potentially drop them from the program. As the “seclinton” post suggests, being on one’s best behavior and backing it up with documentation could be vital in proving a shop held up its end and winning any “court of public opinion” dispute arising out of a repair-related issue. There are 300 slots about to open up in the network — just in time for the mass-market Tesla Model 3. With the mass-market electric vehicle seeing six-figure pre-order demand globally and due to come out later this year, according to a Seeking Alpha transcript, getting in early on the Tesla network could be a smart business move. Tesla didn’t reply to our inquiry Friday seeking more detail into the Tesla network expansion and Model 3’s repair access. But McNeil’s addition of 300 body shops suggests that collision repair on the Model 3 will, like the S and X, be restricted to Tesla’s network. And just spitballing: Tesla’s handling of the situation also raises an interesting hypothetical in the new world of OEMs taking a more active role in collision repair. Let’s say a shop is certified for Tesla and is on a DRP for Insurer XYZ. You’ve got Tesla looking over one shoulder demanding their customers’ cars get out first because some bad press went viral. Insurer XYZ is looking over the other shoulder pointing to a lousy cycle time KPI and demanding its customers start getting speedier service. Throw in other DRP or OEM demands, and things start getting even more complicated. Who gets the attention?